Hell yes. 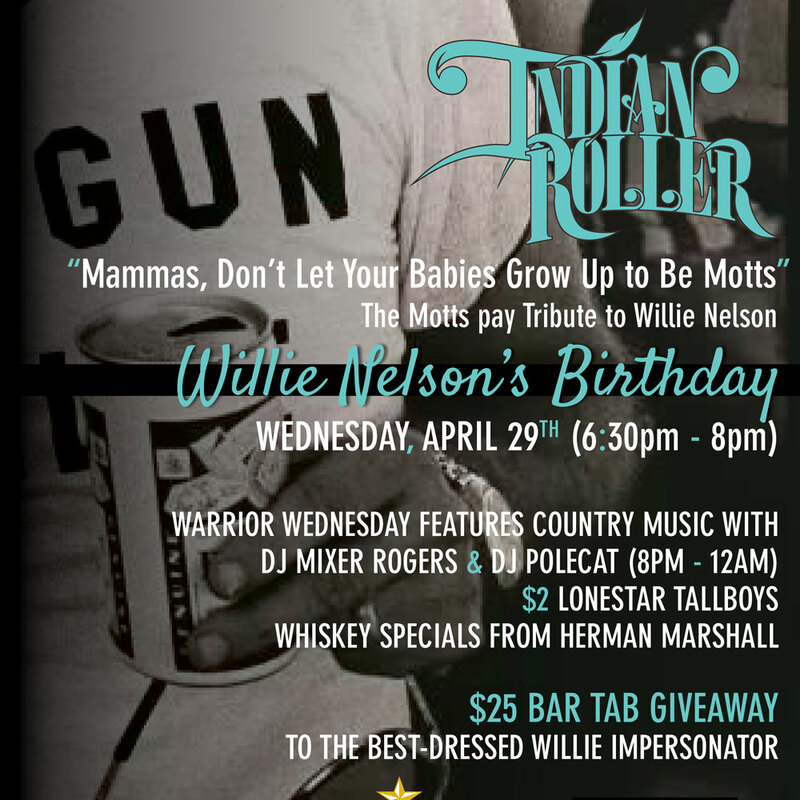 Will and I have to be the only DJ’s in Austin saluting the legend, Willie Nelson, on his birthday. This is gonna be a blast. It’s April 29 at Indian Roller. Before us…The Motts will tear through their Willie inspired set and then Polecat and myself will entertain the folks with our best Outlaw country DJ battle from 8-12a. Hope to see you. This entry was posted in Shows and tagged Austin, Birthday, country, DJ, indian, manchaca, motts, nelson, outlaw, Party, roller, slaughter, Texas, willie. Bookmark the permalink.